The footballers of Armagh and Laois and hurlers of Waterford and Wexford look set to lose home advantage for one game in the 2019 Allianz Leagues as a result of breaching rules on training camps. As part of its move to make April a "club month" the GAA last year tightened its rules on inter-county activity between the end of the Leagues and start of the Championship. A prohibition on training weekends or gatherings "of longer duration" more than 10 days before a county is in Championship action was already in the rule book, but a penalty involving the loss of home advantage was introduced at Special Congress last September. According to the Irish Independent, Armagh and Wexford are to forfeit home advantage for travelling to Portugal while Waterford and Laois held training camps in Ireland. A total of 17 counties were investigated for potential breach of the rule but the Association has decided only four merited punishment. Croke Park have accepted the Dublin footballers' explanation that their group trip to France and Belgium was solely to visit the site of World War I battles. However, Lee Chin's insistence that the Wexford hurlers were on holiday "as a group of friends" appears to have fallen on deaf ears. 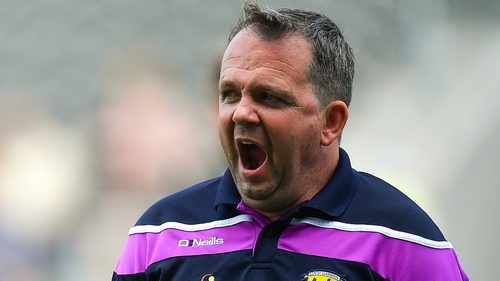 Barring an appeal, Wexford will be forced to play their potentially lucrative clash with All-Ireland champions Limerick at a neutral venue.